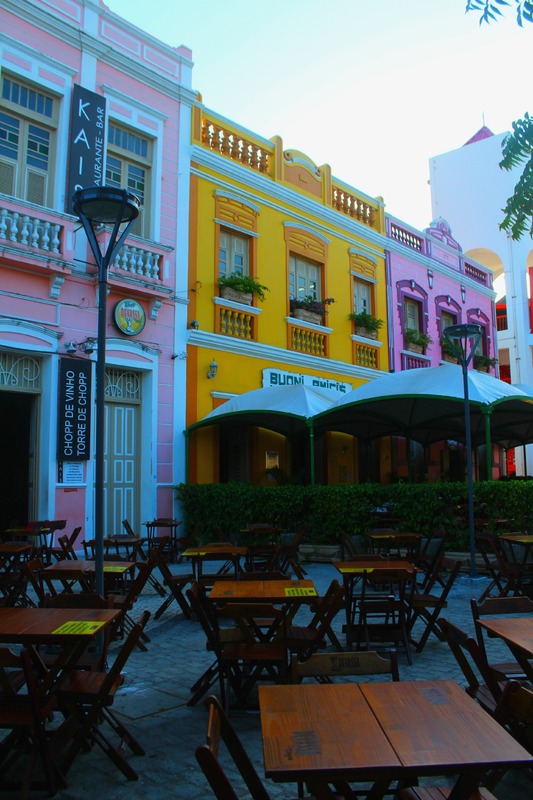 Here am I writing again about the city I will always call home, Fortaleza. As I have already introduced the city to you, I now want to give you some very cool choices of fun and delicious things to do in this coastal Brazilian town. 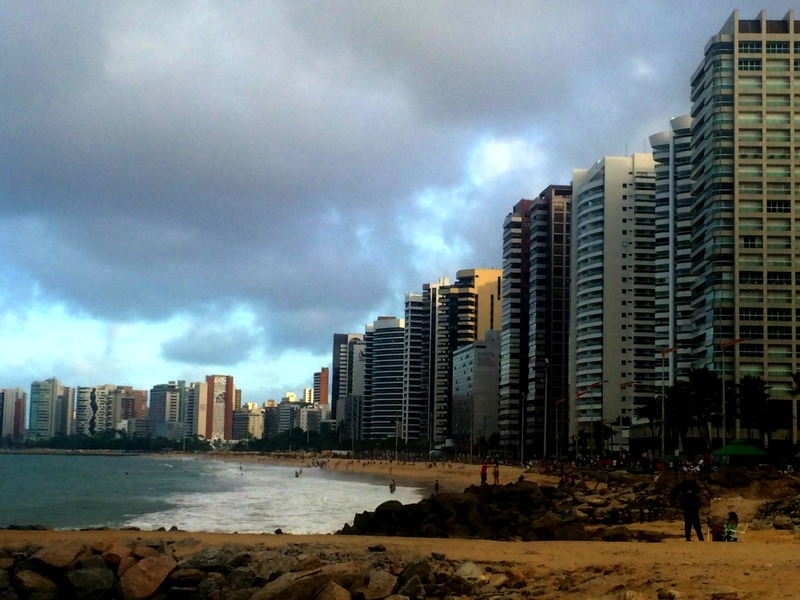 If you would have the chance to see only one thing in Fortaleza, that would be the beach sidewalk, known as Beira-mar. So yes, it is a must! Here you can see not only the beautiful sea, but also handcraft and ice cream stands, street food vendors, restaurants, and a LOT of people. It is a nice place to see the contrast between the sea and the skyscrapers of this 4 million inhabitants town. 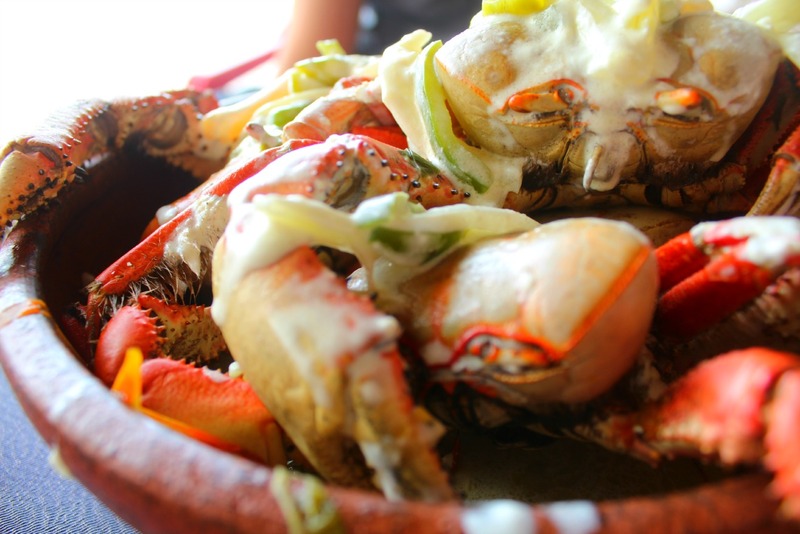 Have you ever tried Brazilian crab? Well, here you can do that, and it is the kind of thing that the locals love doing. There is even a special day to eat crab, in which everyone enjoys to meet their friends and of course, some juicy crabs: on Thursdays. Well, I love it, and it was one of the first things I did when I was there last time. Most people from Fortaleza itself have probably never done this, but I – together with other 2 amazing friends – decided to do it, and I must say that I was impressed by the place. Stunning architecture! 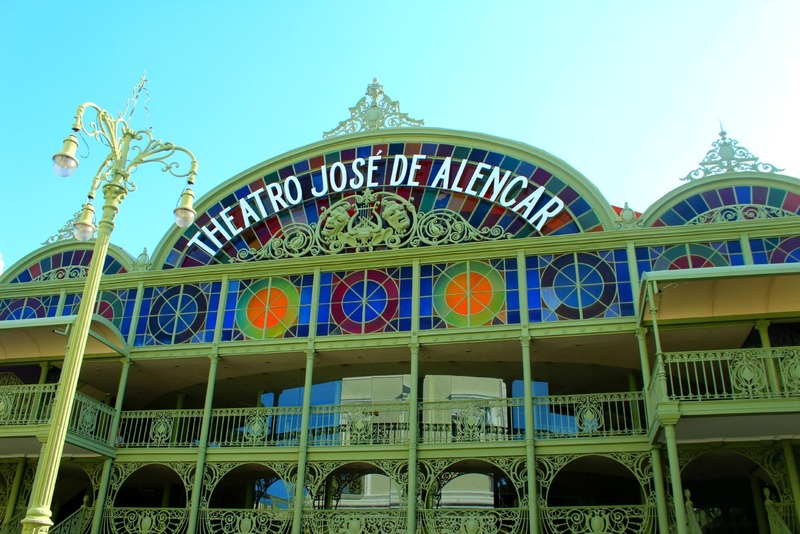 The José de Alencar Theater was opened in 1910 and it was named after a very famous Brazilian writer. 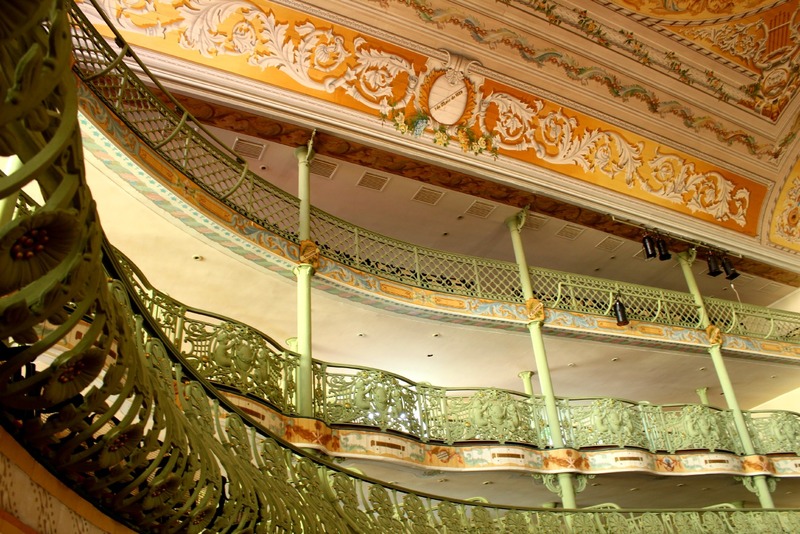 The Theater is a National Historic and Artistic Patrimony, and its architecture style is considered Art Nouveau. Its main room has the capacity for 800 people. Not to mention, it is beautifully colourful. So, if you don’t understand Portuguese to attend a spectacle there, you can always make a tour! I have explained to you before what an all-you-can-eat meat restaurant is right? 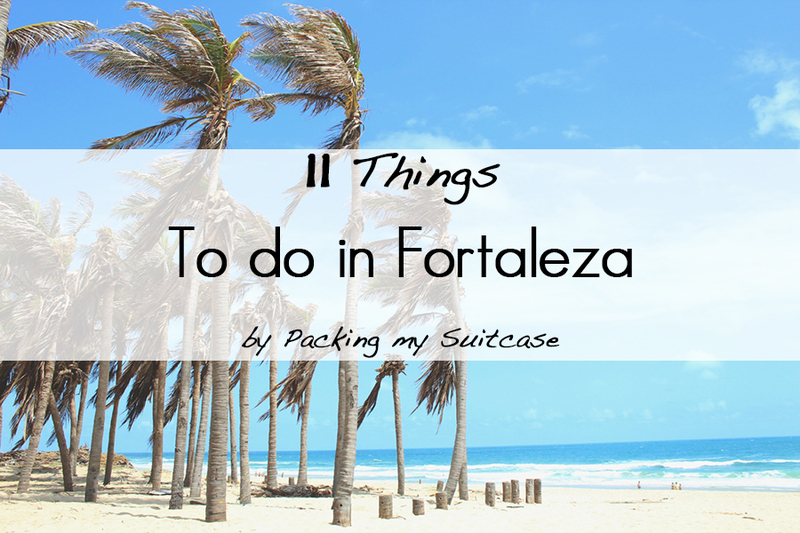 So, this activity is a must do not only in Fortaleza, but anywhere you go in Brazil. My favourite one in the city is still Sal e Brasa, even though I heard good things about other ones too. 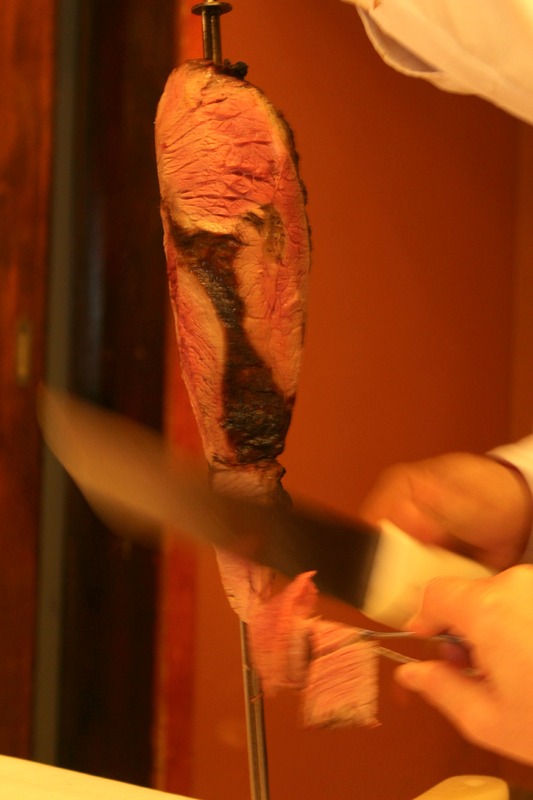 In any case, I do think you should indulge yourself into some amazing and succulent Brazilian meat. 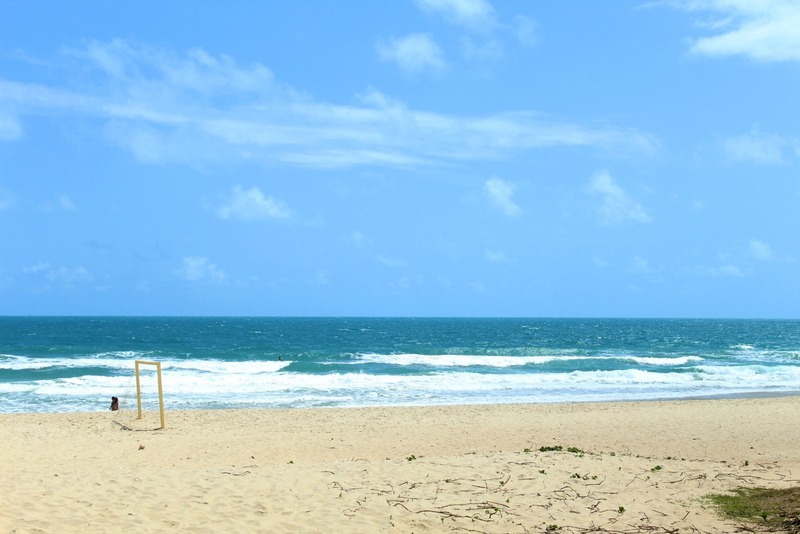 Fortaleza is very famous for its beaches, and my favourite one there is Porto das Dunas. Well, it is officially part of the nearby town Aquiraz, though it is so close that for me it still makes part of Fortaleza. Anyways, this beach – where by the way I got married! – is home to one of the largest water parks in Latin America, Beach Park. Beach Park is where I spent a lot of time during my childhood. It is a fun place not only for kids, but for adults too. You can easily spend the entire day here, enjoying the rides, as well as eating great food at their restaurant or just sitting on the beach. 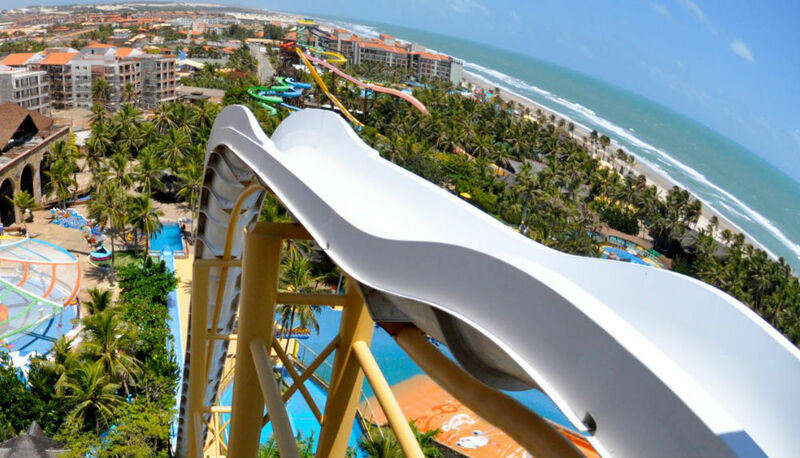 There is a water slide called Insano, which is 41m high… of course, with my lack of courage, I never went there! Açai is a palm tree that produces black-purple berries, which are mainly produced in the States of Amazônia and Pará. 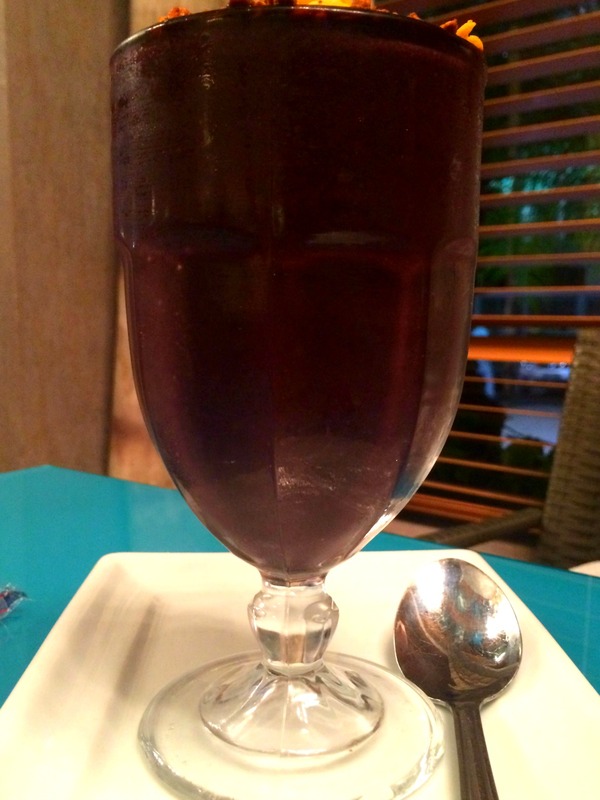 In the past years açai has become very famous in the country, and in Fortaleza is very popular to go have some with friends, or before and after doing sports. It is served cold and its consistency resembles a smoothie, it is very caloric and can be eaten pure, or with fruit and cereals. Some people love it, others hate it. I love it. If you are ever around, give it a try! Dragão do Mar (Dragon of the Sea) is a cultural center, with plenty of things to do such as eating and drinking at one of its bars/restaurants, having a coffee, watching Brazilian movies, concerts, visiting the planetarium and much more. I highly recommend stopping by in the late afternoon for a coffee, or at night for an awesome pizza with beer. Two of the most famous venues are Amici’s (for pizza) and Chop do Bexiga (for a beer)! 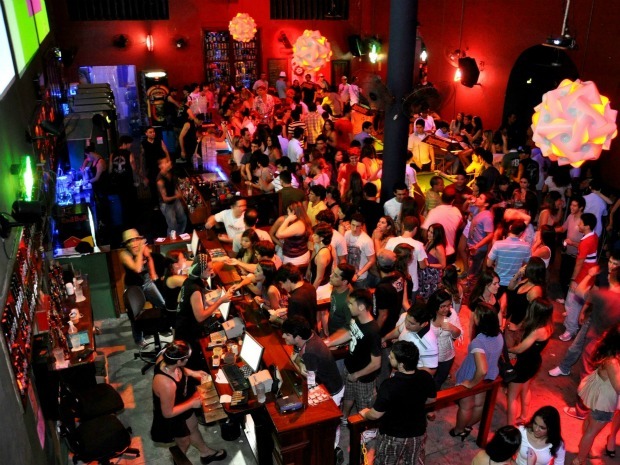 Right across Dragão do Mar there is one of the most popular places for those who enjoy nightlife, the Órbita Bar. They have live bands, pool tables and awesome drinks. It is famous not only among tourists, but also among the locals. The line can be long, especially on Sunday nights (the most popular day to go), but it is a fun place to meet up with friends, dance and have a caipirinha. 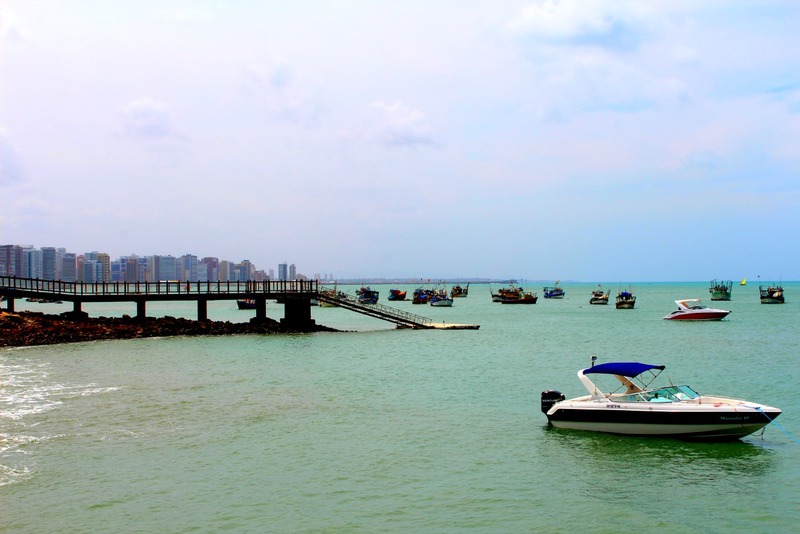 If you want to do something distinctive in Fortaleza and see the city from a different perspective, enjoy a boat ride departing from Beira-Mar! The ride lasts 2 hours and it costs around R$ 50.00 (€15) per person, and you still have a little time to take a swim! With all the sun and warm temperatures that you will experience in Fortaleza, nothing better than cool down your body with an ice cream. 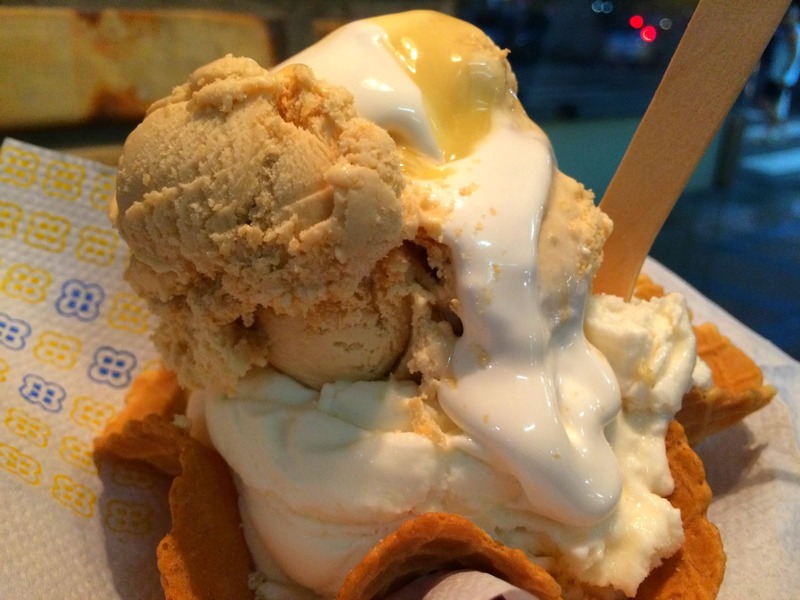 Of course, you can do that everywhere, but what you probably don’t know is that the ice cream business in Fortaleza has grown so much, that the creativity has grown alongside. Take this one for example: a warm brownie around the cup and 2 balls of ice cream of your choice in the middle, plus some crumbs of your choice. 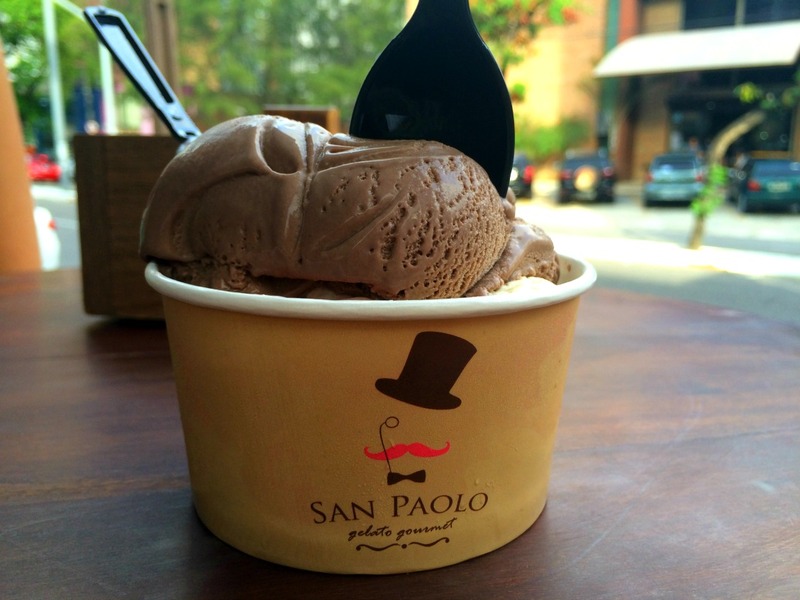 Options are endless around the city, and I got to try Magus (the one from the photo above) and San Paolo, which is well known for the variety of peculiar flavours. There is also a traditional one called 50 sabores (50 flavours) where you really find 50 different flavours, if not more! Hard to resist! Oh well, what kind of person would I be if I didn’t tell you to enjoy the beaches? Another must! But I am sure I didn’t even have to mention this one right? 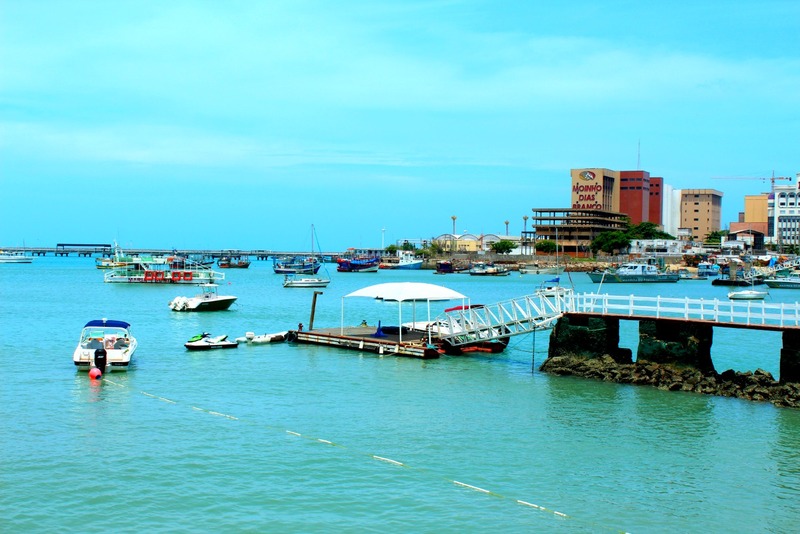 Fortaleza is well known in Brazil for its beaches. How do you not DIE when you ride that insane slide? Just the picture just gave me vertigo! hahahaa good question!!! I have never been there because I dont believe I will come out alive if I go there!! Can you believe that it takes 5 seconds to drop all the 41m? Great suggestions! Would love to eat crab on the beach . . . but not so sure about riding the ride you showed us at Beach Park. Yikes!!! Crab is awesome!! I hope you try it someday! Thank you dear 😀 happy that you liked it! I hope you do get to visit Brazil sometime, there is so much to do and see there. Ohh dont worry, you dont have to go to the crazy slide, I never did and never will hahahaha it is simply free falling… uhh no, thanks! hahahaha the name says it all! I am not that insane to go there either!! Mmm YUM, that acai and ice cream look so good! hahaha yes they are very good! 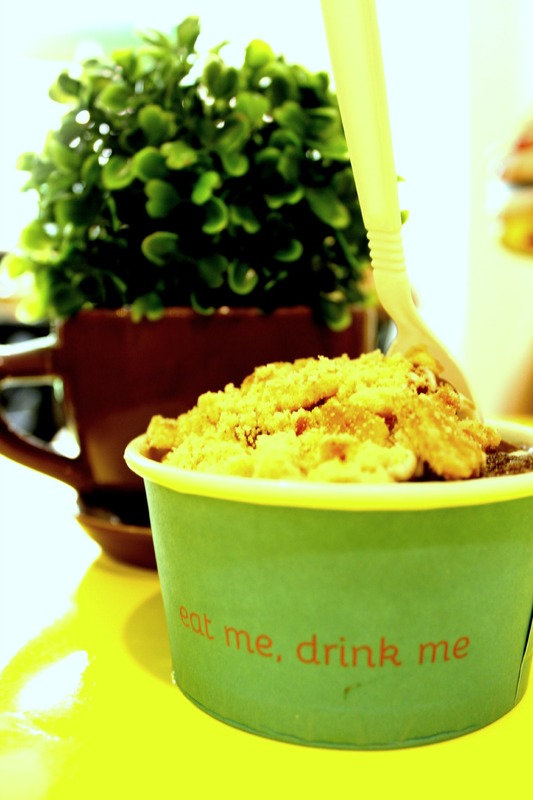 Have you ever tried Açai before? Enjoy while you are still in South America to go 😀 Im sure you would have lots of fun there! hahaha yes, there is a lot to do there!! Good that is not spicy. Because I do not like spicy, so I will feel very happy there 😀 With coconut sauce? That is amazing because I looooove coconut! And pizza too. You and I will make good eating buddies! 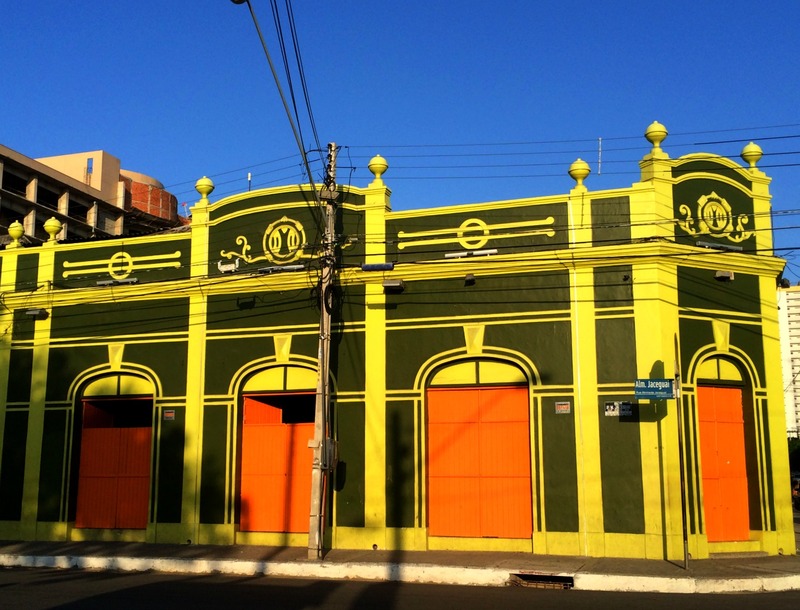 What a colourful town – great photos! Awesome photos, that theater is seriously gorgeous! 😀 The brownie with ice cream sounds heavenly, I can’t wait for it to get warmer so I can enjoy ice cream every day, haha. Thank you Vlad 😀 ahhaah yesss me too!! Well, I have to confess that I am already having ice cream these last days… but its way better when is warmer 😀 I hope all is fine with you!! So beautiful and colorful! LOVE that theater….and the waterside looks so scary! The theater is very beautiful isnt it? It was my first time there after living so many years there hahaha. hahaha happy that I inspired you to have some ice cream… I hope it was delicious! 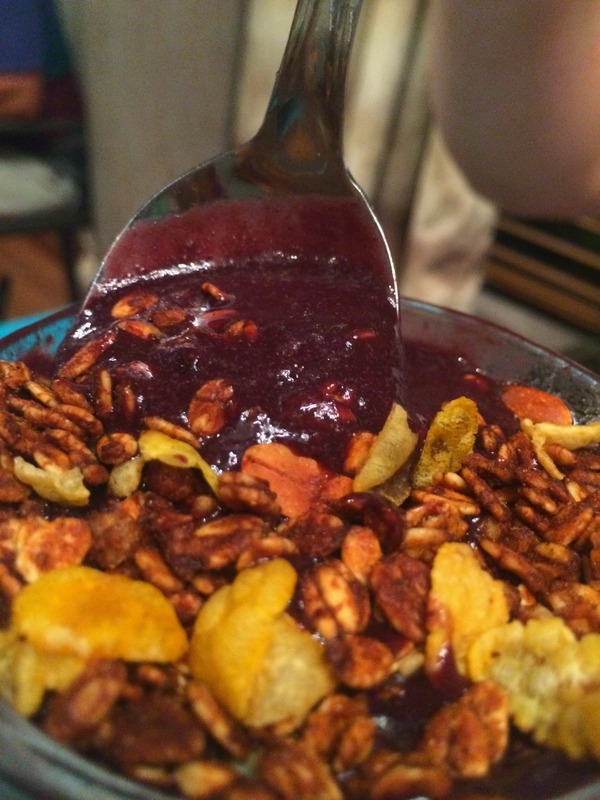 Do you have special Acai recipe from Brazil? It looks so healthy and original!! Great tips Allane! There is no special recipe, the secret is actutally having the frozen açai, then all you have to do is put it in a mixer and make kind of a smoothie. Then you can eat with fruits or cereals 😀 I have never done it at home… especially because here in Europe is very hard to find frozen açai, they sell mostly the powder one, and it is not good. I found a place here in Munich that makes açai 😀 I am willing to try soon and see how it is! Have you ever tried it? Thank you, I am happy that you liked the new look!! The person from the illustrations is Anna, from PINODEK, you can visit her blog: pinodesk.net or visit her Etsy store 😀 she is a lovely talented person!! You do make great lists Allane! I love the idea of the boat trip and hanging out at Drago do Mar, it looks lovely. I can’t believe all the highrise on the beach, it’s so different from Europe! I think so too, it should be the same everywhere haha it’s so much fun and on top of all: delicious! hahaha yes same here, too afraid of heights!! Ohh really?? How amazing!! I can only tell you that it is an unforgettable trip, the coast is amazing! Happy to know that you have been enjoying my posts about Brazil 😀 I promise to post some more about my country! I hope you get to visit Brazil someday, it’s a beautiful country and with lots of things to do and see!